I’m a huge pull-up and chin up fan. It’s by far, my favorite exercise and one of the best bodyweight exercises that you can do to build a bigger back at home or at the gym. If you’re not implementing them on your current workouts, I strongly recommend you to do so. 1. Functional Strength: As humans, we perform a wide range of movements on a daily basis, including standing, walking, pushing, pulling, twisting, turning, etc. By improving your functional strength through dynamic compound exercises like pull-ups, you strengthen the relationship between your nervous and muscular systems. 2. Posture Improvement: As you strengthen your back and core muscles, you can achieve better posture. When your posture improves, you appear longer and leaner. 3. Back Pain Alleviation: A lot of people sit on the drive to work, sit in front of a computer all day, and then sit driving home. You might even sit on the couch once you’re home. All of this cumulative sitting increases the physiological load on your back. By strengthening your back and core muscles with the pull-up, you reduce your chances of future back pain and injury. 4. Better Looking Physique: Want to look great in that tank top? Pull-ups help define your back and biceps and work your core. All of this makes your waist look smaller. For guys, it can also help create the “V” shape. But this exercise can be very difficult to do for an increased amount of repetitions. Even the most advanced lifters struggle to increase their pull up repetitions after hitting a certain plateau. Have you ever noticed that chin-ups are way easier to do than pull-ups? But why is that? They both target the back, why would one be a lot harder than the other? It’s not about the bicep helping or not. The reason is that while both forms do target the back, the pull up requires a much heavier involvement of the arms. In the pull-up, your forearms (specifically your brachioradialis muscle) is required to contribute much more than it is in the chinup. This muscle, if not trained enough, can become your weak link in performing more reps of the pull-up exercise. The brachioradialis is most active when your hands are in a pronated position and when your elbow is flexed. In order to increase your pull-up repetitions, it’s a must that you work your brachioradialis muscle. The best way I’ve found to work on this muscle is to simply wrap a towel around your pull up bar and hold on top of it for as long as you can or do regular pull-ups that way. Wrapping a towel around the bar makes it thicker, thus harder to grip and thus harder on your hands and forearms. 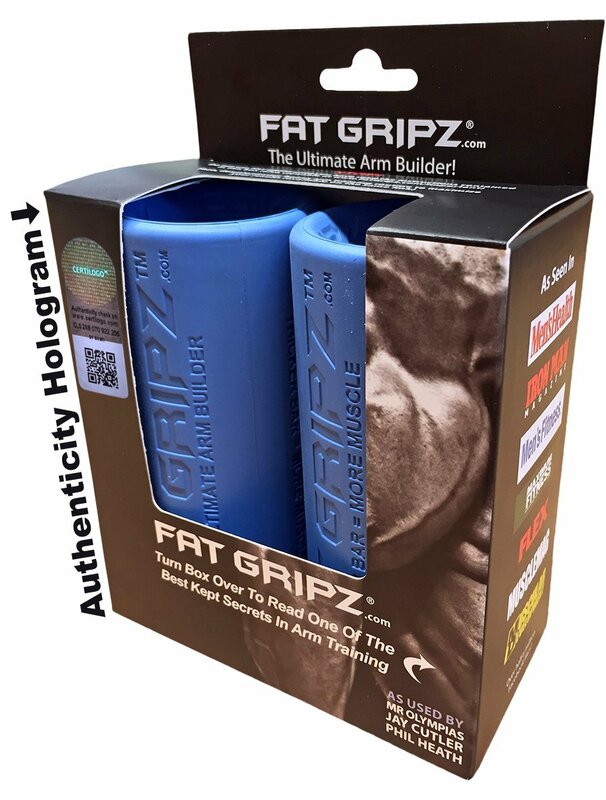 That’s the idea around Fat Gripz. Making the bar thicker so you put in more work on your forearms and hands. When I was working specifically on improving my pull-ups I used to hold on top the bar for 30-45 seconds around 3 times a day. I definitely recommend you getting a Home Pull Up Bar, so that everytime you enter your room, you remember to do that exercise. If you rather use dumbbells, I’ve found that Hammer Curls and Reverse Forearm Curls work best. If you’re really dedicated to improving your pull up repetition number, you should dedicate a single day in the gym just for forearms, or start working on them after your regular arm workout. Just remember, that focusing on your targeted muscle is crucial to developing it and doing the exercise properly. Note that you use your forearms in many daily activities, so just like your calves, they need to take a beating to grow stronger. Slowly build up your strength in these forearm exercises and you will find that your pull-ups will improve. Along with strengthening your core which is vital in every lift you make. Even if you can’t do one pull-up right now, you can start to increase the number that you can do by working on this little worked arm and forearm muscle. Are you happy with your pull-ups? Check out why you still don’t have six-pack abs! Note: This advice is for the intermediate/advanced athlete that can already do 8-10 pull-ups and is stuck on that number. If you’re still at 2-3 repetitions I suggest that you just keep doing pull-ups regularly and work on your back with other back exercises like Lat Pulldowns. Want to show your friends the real reason why you’re stuck in the same number of pull up repetitions for ages? Make sure you share this article with them!